Celebrate this Valentine's Day with a special gift of adoption for your loved ones. The Friends of Algonquin Park is offering the unique opportunity for you to honour someone special in your life while supporting your beloved Park. This symbolic adoption of an Algonquin animal has lasting meaning as it will help ensure a bright future for Algonquin Park. 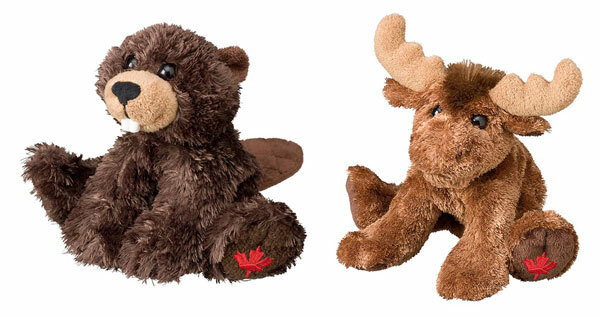 With your $50 adoption donation, you will receive your choice of one 18 cm (7") plush animal (Moose, Beaver, Red Fox, Wolf, or Raccoon), corresponding educational fact sheet with colour photograph, personalized "Certificate of Adoption”, free shipping and you will help Algonquin Park continue with the development and delivery of programs, research, workshops, special events, plus the production of award-winning educational materials. If you wish, we can even send the package directly to your gift recipient, along with the "Certificate of Adoption" personalized with your honourees name. Order today to ensure delivery before Valentine's Day. Your gift will be tax-deductible to the extent allowable by the CRA. Wildlife adoptions are symbolic and your donation will be used where needed to help The Friends of Algonquin Park continue to enhance the educational and interpretive programs in Algonquin Park. The Friends of Algonquin Park is a Canadian registered charity and non-profit, non-governmental organization established in 1983 for people passionate about Algonquin Park. We operate retail locations, recruit members, and fundraise to support the natural and cultural educational goals of Algonquin Park. The Friends of Algonquin Park. © 2019 All rights reserved.